Every American household contains at least one flag enamel pin. No one knows where they come from, they just appear one day when you’re looking for something else and you think, maybe I can wear this ironically, maybe I should donate this to Goodwill. 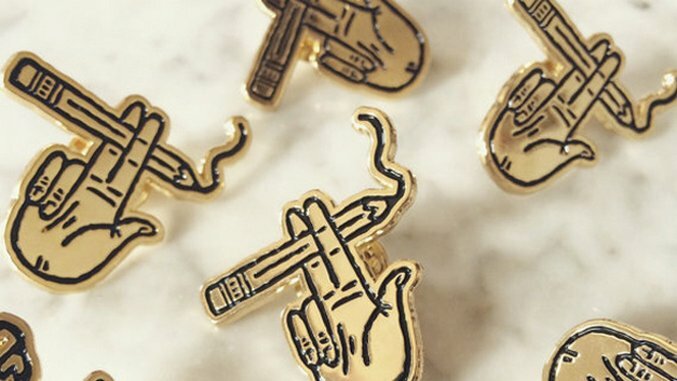 If you want a pin that reflects your personality a little better, look no further than Etsy. Cat pins, Frida Kahlo pins, creepy creature pins, it’s all there. Pin them to a sweater or a purse strap for an instant custom accessory.